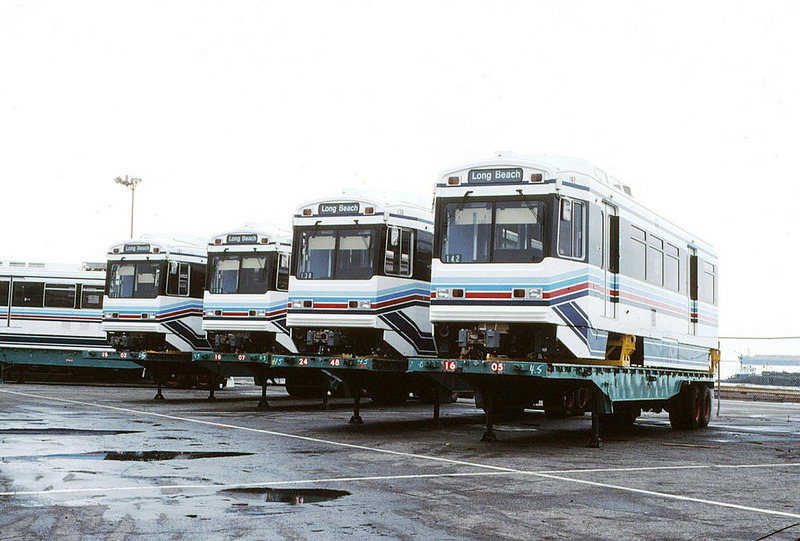 P865 rail cars in their original Blue Line livery. Farewell, so long. Photo courtesy Alan Weeks. The P865 light rail cars have been in service since 1990, when the Blue Line opened between downtown Long Beach and downtown Los Angeles. 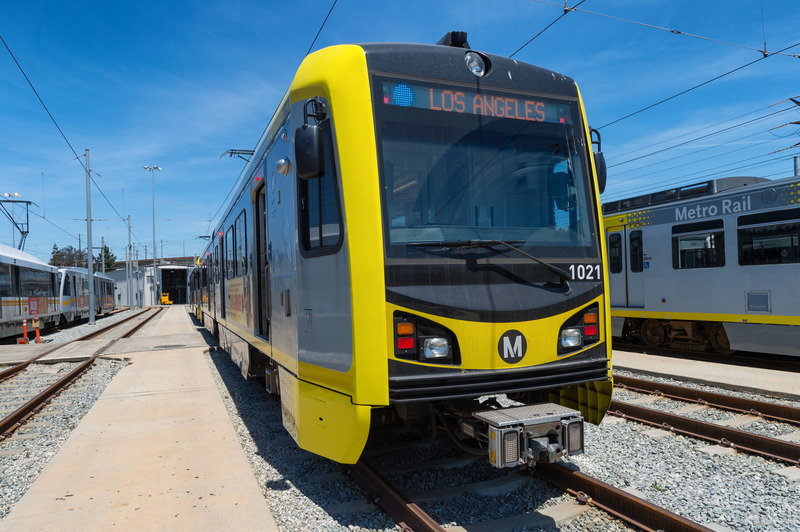 The Blue Line was the first rail transit line in our region since the demise of streetcars in the L.A. area in 1963. 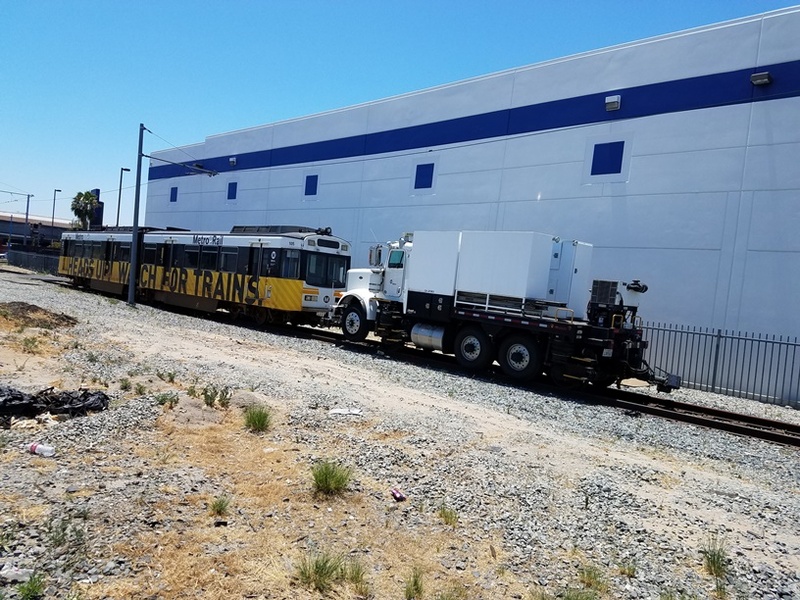 Since June 2017, Metro has been decommissioning the P865 rail cars and replacing them with the new Kinkisharyo P3010 rail cars. 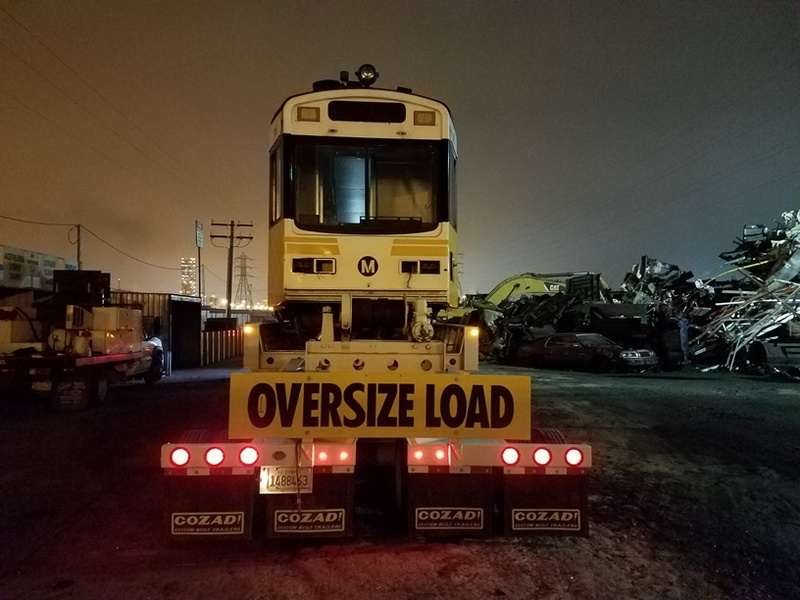 As the P865 rail cars were taken out of service, two were donated to the Orange Empire Railway Museum. 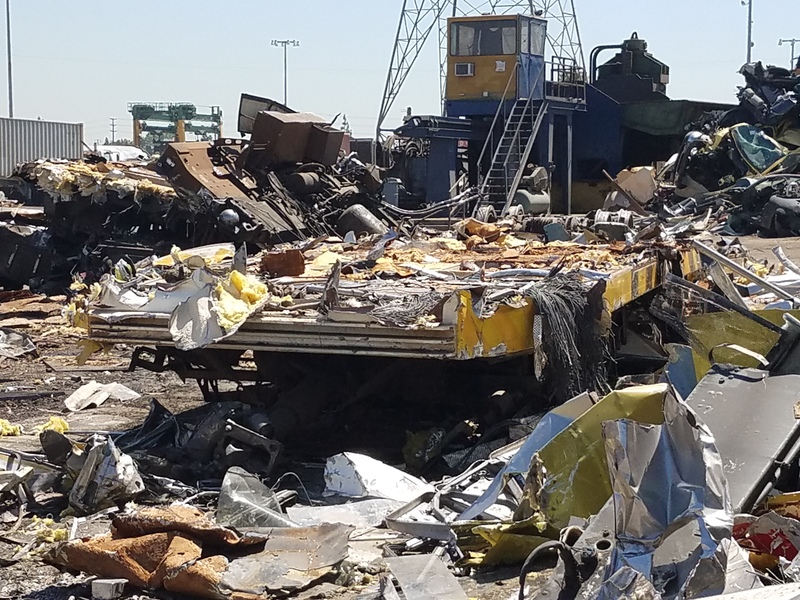 The majority of rest were dismantled for parts and then recycled. 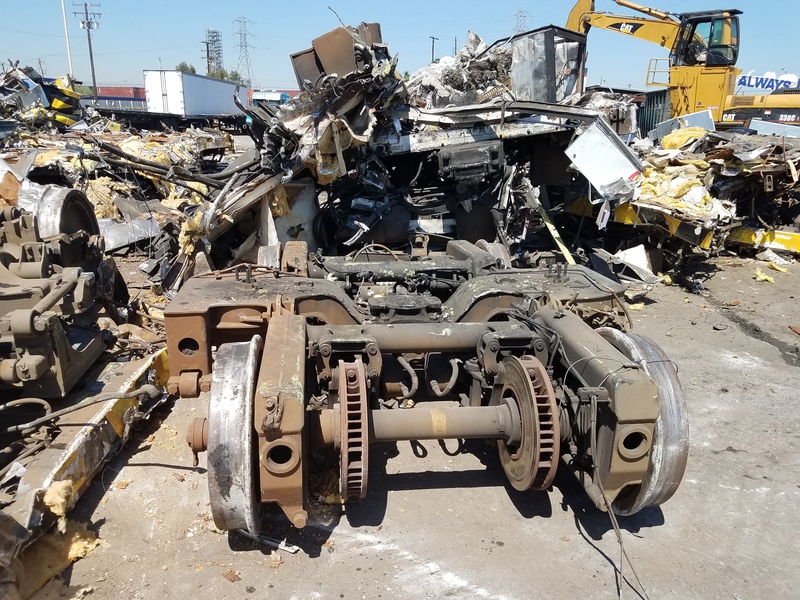 One remaining P865 rail car, #100, has been saved and will be donated to the City of Long Beach next year. 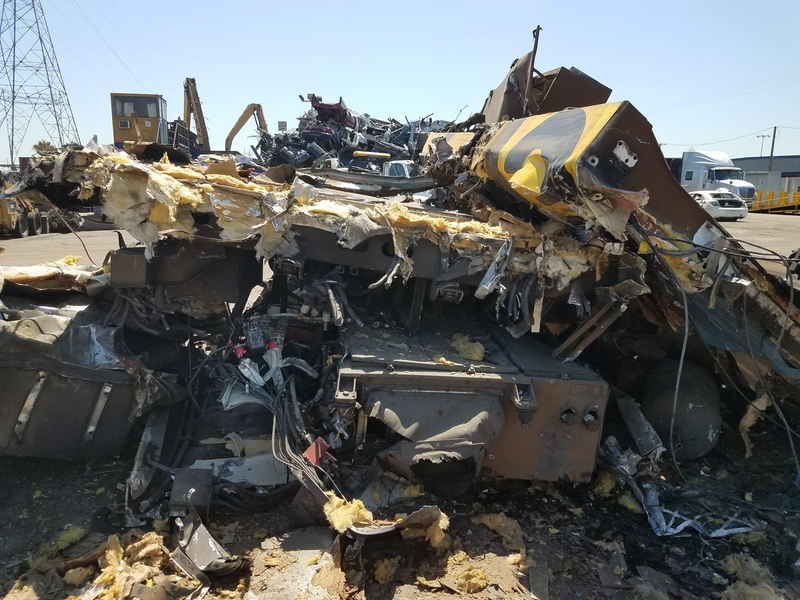 Keep scrolling to see the final journey each P865 rail car has made over the course of this past year. 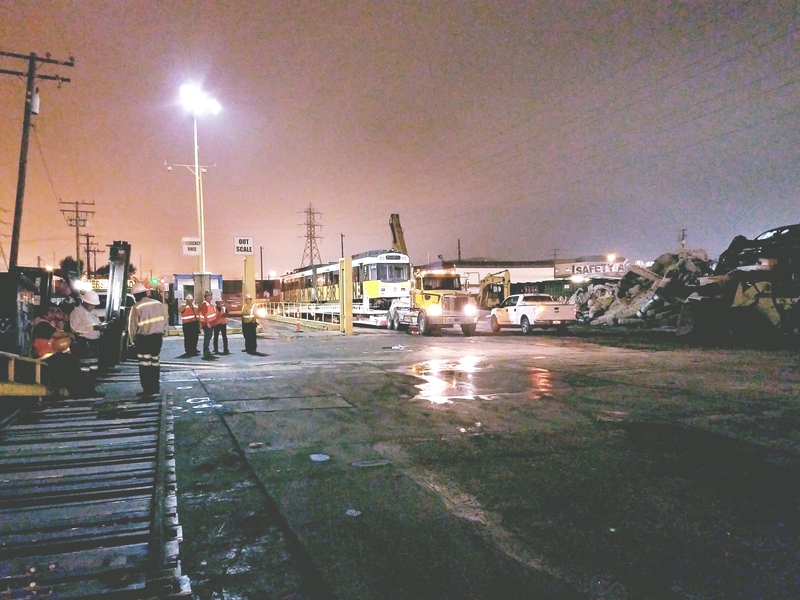 Rail car being ‘dead towed’ to tail track near Washington Station to await transport. 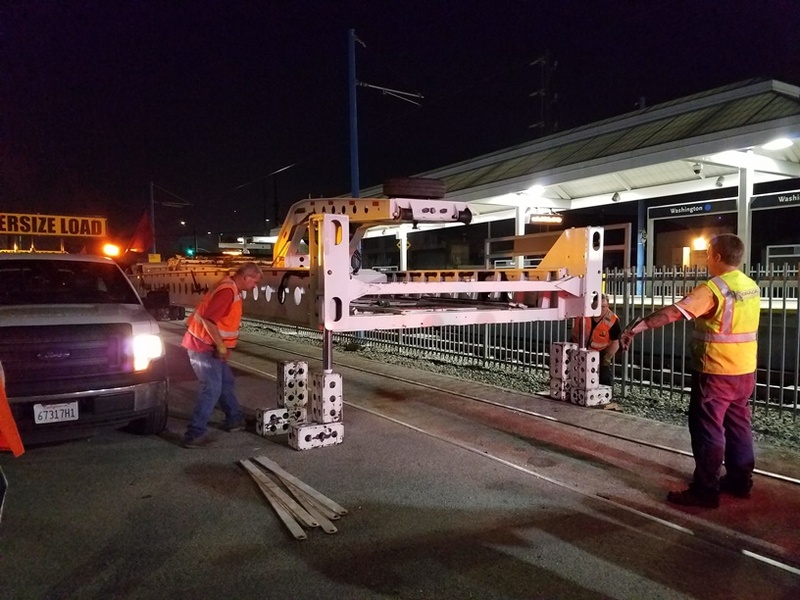 Preparation to load rail car onto transport truck. On heavy transport, headed to the recycling yard in Carson. In transit to recycling yard. 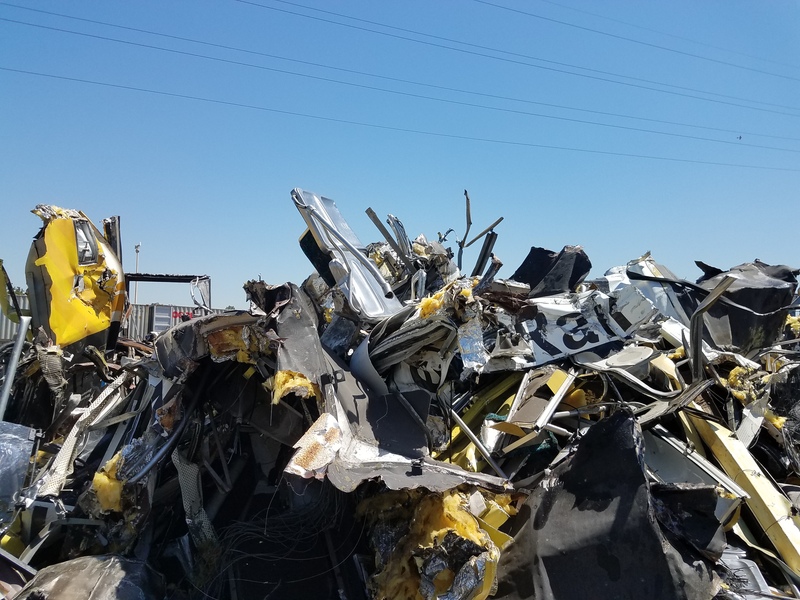 Arriving at the recycling yard in Carson. Off loading at the recycling yard. 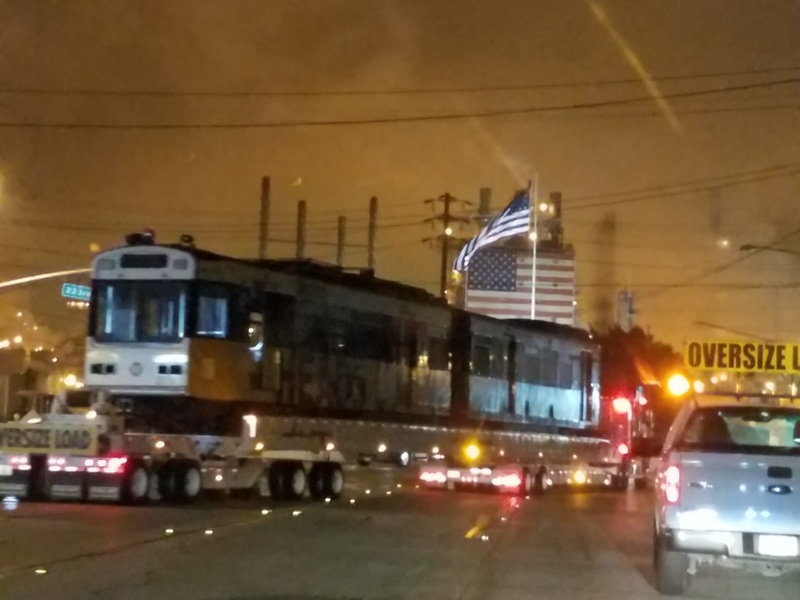 While the above photos are a little sad, the whole process is to make way for new rail cars on the Blue Line. 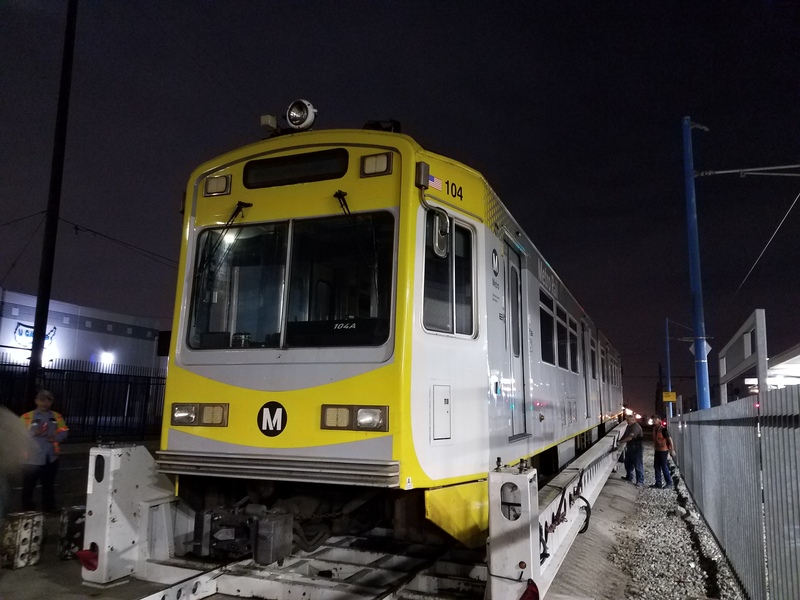 To date, there are forty-eight new P3010 rail cars at the Blue Line rail yard, and they are running on both the Blue and Expo Line. Go Dodger Stadium Express to the 2018 playoffs! That must have just happened this morning as I rode one back from the Rams game last night. The remaining cars are actually P2020 cars that were originally bought for the green line and later moved to the blue line. They are here for a few more years. There are 15 cars left, and they are the 1995 cars. What was the last P865 to operate? I presume it was the last to be decommissioned? I wonder if I am alone on this. I come across with both P865/P2020 and Kinkisharyo P3010 when riding the Blue Line. I find it interesting that the P3010 feels wider in the inside than the P865/P2020, but I think they have to be of identical width since they use the very same tracks and platforms. I just wonder if any Source readers feel this too. If you donated a car to the city of Long Beach, you should also have donated cars to the city of Los Angeles, the city of Compton, and the county of Los Angeles. The blue line travels through both those cities, and some unincorporated areas of the county. What’s the name of the recycling yard?